You can make the notes text for your Presenter 360 courses look the way you want using PowerPoint's font and paragraph formatting features. 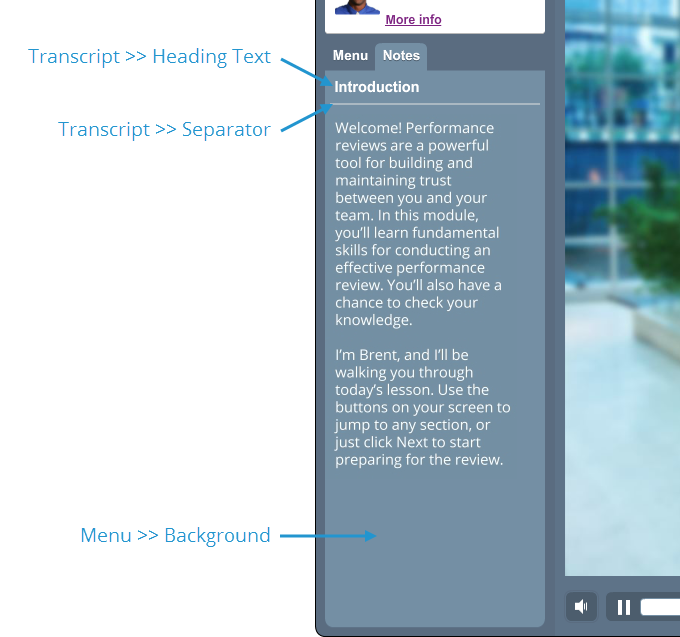 And you can customize the colors of the notes panel for your published courses using Presenter 360's player colors. Here's how. You may not actually see all your changes, such as font and color selections, in PowerPoint's notes panel, but they'll show up when you publish with Presenter 360. 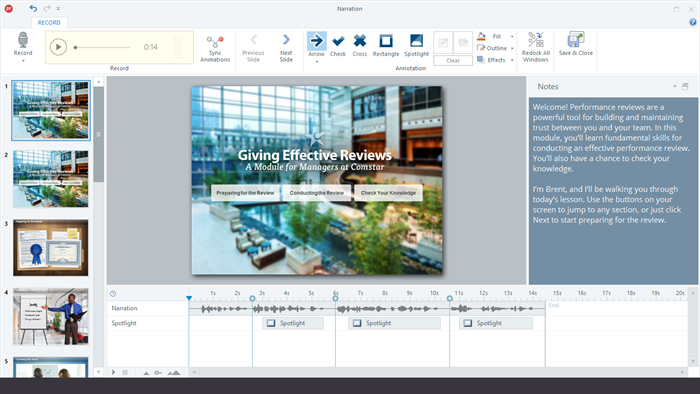 You can also see how your notes will look by previewing your course or by opening the Narration window (go to the Articulate tab on the PowerPoint ribbon and click Narration). Another way to format your notes in PowerPoint and see all the changes is to go to the View tab on the ribbon and click Notes Page, then use the same font and paragraph formatting options shown above. Click OK to save your player.